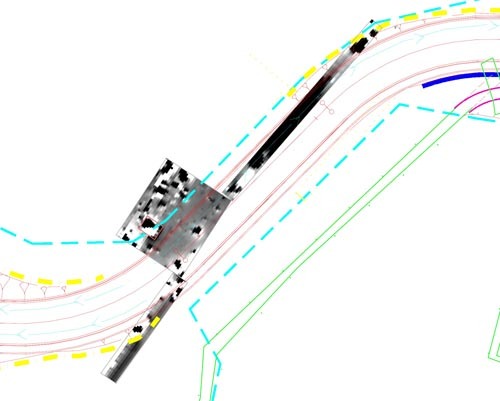 The curved red lines mark the proposed road route. The dark green dashed lines are the outside boundaries of the land owned by City Council. 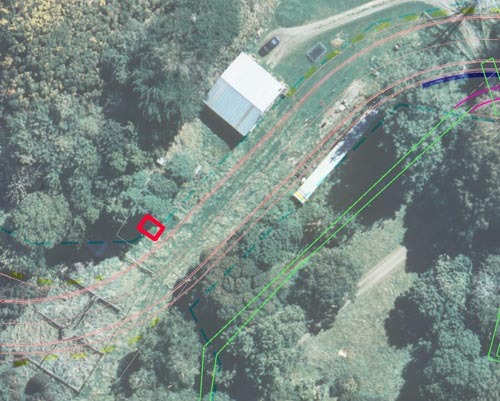 The small red rectangle between the sheepyards and the shed on the dark green dashed line is the possible location of the c1841 gravesite. This image shows the reading that helped the archaeologists decide where the gravesite might be. The small red rectangle over the dashed green line is the possible location.